Derby County Community Trust are holding open training sessions for their Football and Education programme, a unique platform that gives talented young individuals the chance to achieve a football scholarship while continuing their full-time academic studies, over the Easter holidays. 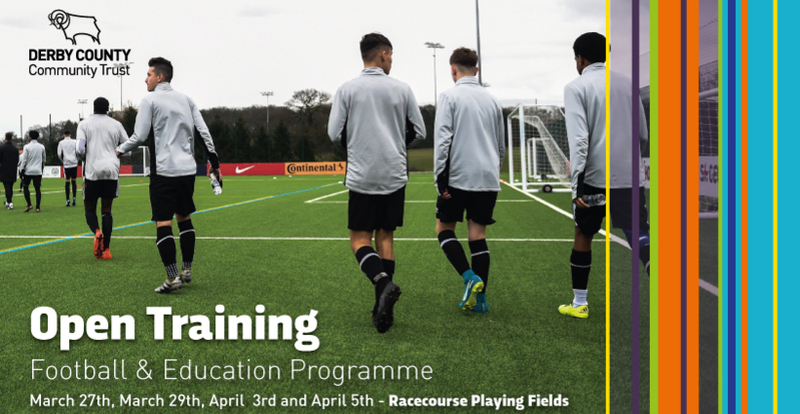 The programme is designed to give 16 to 18-year-olds the best opportunity to gain A Level and BTEC qualifications while training and competing in an elite football programme. Coaches will be on hand to provide guidance to help participants find the correct balance of being a student athlete. The course will combine the technical, tactical, psychological and physical facets of the game to promote the development of both students’ studies and game play. 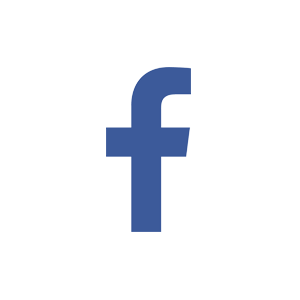 The open training sessions, recruiting for study at venues in Chesterfield, Coalville, Friesland School and Derby, are taking place at The Racecourse Fields (3G), St Mark’s Road, Derby, DE21 6AL, from 1pm-3pm on March 27th, March 29th, April 3rd and April 5th. If you are interested in the course and want more information or to attend one of the sessions please complete the form below. 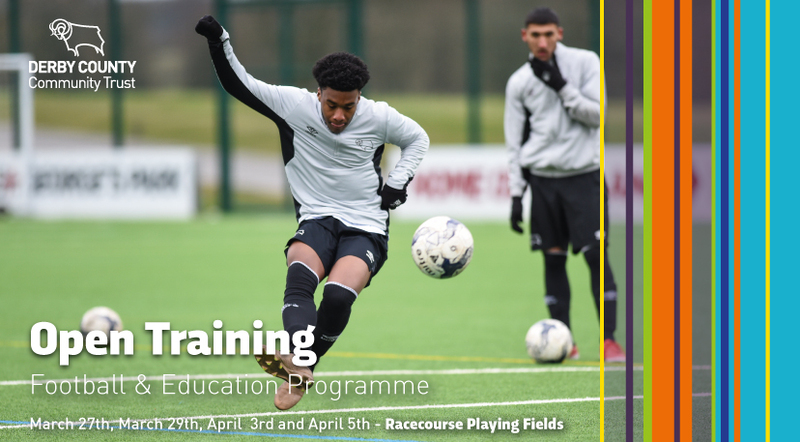 In partnership with local education providers, Derby County Community Trust’s Football and Education programme is an extraordinary platform that gives talented young individuals the chance to achieve a football scholarship while continuing their full-time academic studies. On the pitch, the programme looks to test the players’ ability at the highest level of play outside of academy football. 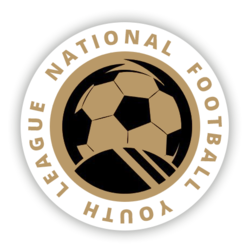 Competing in the FA National Football Youth League will give players the opportunity to also trial at local semi-professional and professional clubs.